NEW YORK & CLEVELAND--Alcoa (NYSE:AA) has signed a multi-year supply agreement with Airbus valued at approximately $110 million for value-add titanium and aluminum aerospace forgings. Alcoa will produce the parts using its recently modernized 50,000-ton press in Cleveland, Ohio. This press uses state-of-the-art controls to meet stringent aerospace specifications and is uniquely capable of producing the world’s largest and most complex titanium, nickel, steel and aluminum forgings. 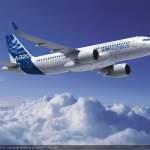 Alcoa will supply titanium parts, including forgings used to connect the wing structure to the engine, for the A320neo, Airbus’s most fuel-efficient single-aisle jet. The agreement also includes several large aluminum forgings for the A330 and A380—including the A380 inner rear wing spar, which is the largest aerospace forging in the world— that will be made using Alcoa’s proprietary 7085 alloy intended specifically for large structural aircraft components. Most of these forgings support the wing structure where strength-to-weight ratio is critical to efficient flight performance. In 2012, Alcoa signed multi-year supply agreements with Airbus for Alcoa’s leading aerospace aluminum sheet, plate and hard alloy extruded products utilizing Alcoa’s current, advanced-generation and aluminum lithium alloys. Terms were not disclosed, but the agreements were valued at approximately $1.4 billion. In addition to sheet, plate, forgings and extrusions, Alcoa specialty fasteners and structural castings are also used on Airbus aircraft. Alcoa has been at the forefront of every major milestone in aerospace history, due to its deep technical expertise and a multi-materials approach, where materials, structures, and designs work in concert to provide optimal solutions for customers. Alcoa’s aerospace business generated $3.8 billion in 2012 revenues. The Company holds leading market positions in aerospace forgings, extrusions, jet engine airfoils and fastening systems produced by its downstream business, Engineered Products and Solutions (EPS), and aerospace sheet and plate produced by its midstream business, Global Rolled Products (GRP). In the first three quarters of 2013, EPS and GRP—Alcoa’s value-add businesses—accounted for 57 percent of Alcoa's total revenues and 79 percent of segment after-tax operating income (ATOI). Alcoa has signed a multi-year agreement to supply Airbus with value-add titanium and aluminum aerospace forgings for Airbus’s aircraft, including the A320neo (shown here), Airbus’s most fuel-efficient single-aisle jet.